There is a caterpillar in my garden, but he won’t be there long. He is a favorite toy in our house when we read the The Very Hungry Caterpillar by Eric Carle. This book is a lot more fun when you have your own caterpillar to cuddle and feed as you read the story. I knit him using a sock weight self-striping yarn for the body and red for the head. 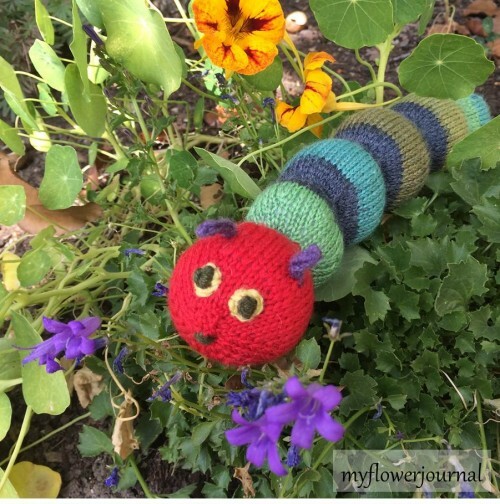 You can find the free Very Hungry Caterpillar pattern on Ravelry along with the changes I made to the pattern here. If you knit or crochet and haven’t discovered Ravelry you are in for a treat. This is another fun knit rattle I made that my grandson loves. The pattern and the changes I made can be found here. 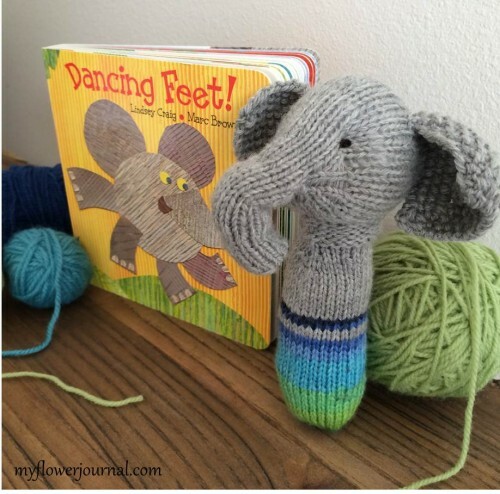 Dancing Feet is another fun book to read to your little one. If you want more fun toy knitting ideas and great tips take a look at Susan B Anderson’s books. She is one of my favorite knitting authors and teachers. Click here to learn about her online knitting class. It is a good one! 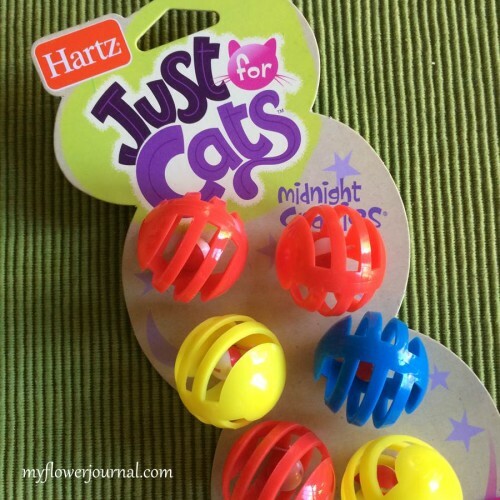 You can add these kitty bells to your knit toys to give them a soft sound when they are played with. Since they are plastic your knit toy can be hand washed and air dried. *If you are new to knitting or toy knitting I highly recommend Susan B. Andersons’s online class on Craftsy. I have watched it several times and have learned some very useful knitting techniques that I use in all my knitting. Click here to see Susan’s Class. These are darling! 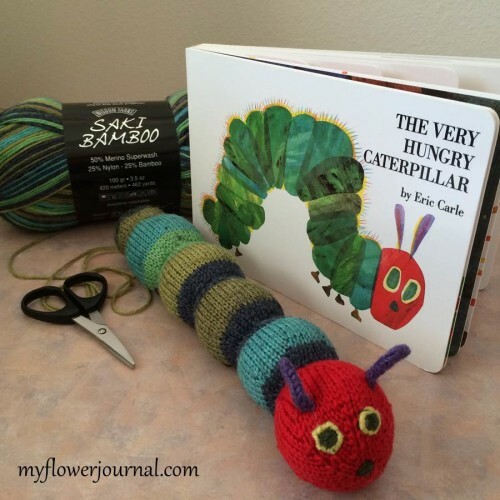 Such a cute idea to make the caterpillar to go with the books!! These are so so cute! What fun memories for your little grandsons.